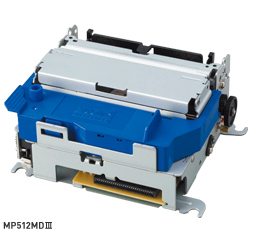 High speed with 4.4 lps print speed with logical seeking. Highest reliability with 9 million lines MCBF in the industry. Capability of Bi-directional Chinese character printing for fast throughput. Black Mark Sensor attached as standard. The size figure of MP500 can be downloaded from here.